In keeping with the WORDS Challenge for Oak House Studio I thought I would show you a few cards I made using the Build Your Own Sentiment set which was launched on Hochanda TV earlier in the year. There are lots of elements in this set - a few sentiments that can just be stamped or you can cut them up and mix and match the words to fit any occasion. You also get a dotted line for adding stitch details (left) some flourishes (right) and a solid block (below) which I've inked with the Triple Brown ink pad to create a brick effect......an easy way to create a masculine card! Below I've used the words with the Dog Rose Corner on this zigzag card. 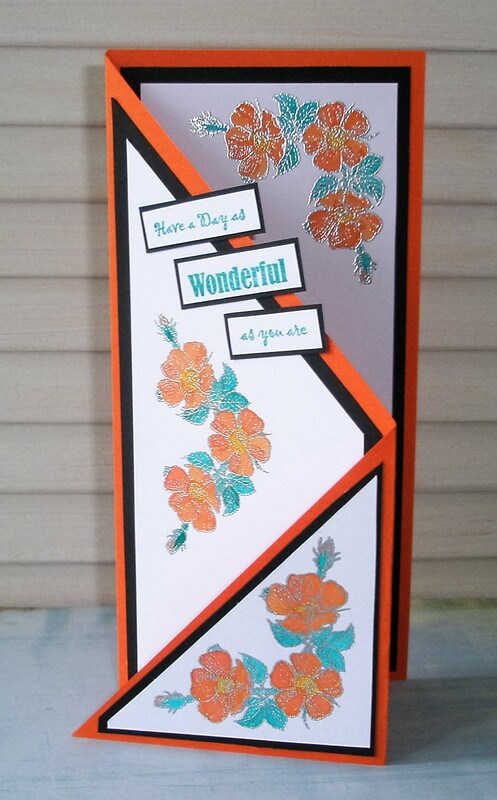 The card below just uses the Build Your Own Sentiment set and the Triple Autumn Leaves ink pad. The block stamp gives a light background for the words. And here using the same Triple Autumn Leaves ink pad with the flourishes and dotted line to make flowers. 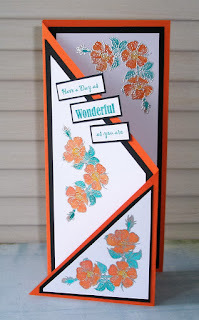 The final card uses a mix of words to create a panel over an inky background stamped with the Clematis Tower. As you can see this stamp set is really useful and you can create any number of sentiments for your cards and notelets etc. All the stamps, inks and ink pads are from Oak House Studio. Go take a look!! What a line up of beautiful cards Elaine - I really do love the zig zag one with the gorgeous Dog Rose Corner stamp (my favourite stamp! ), it really suits that style of card.